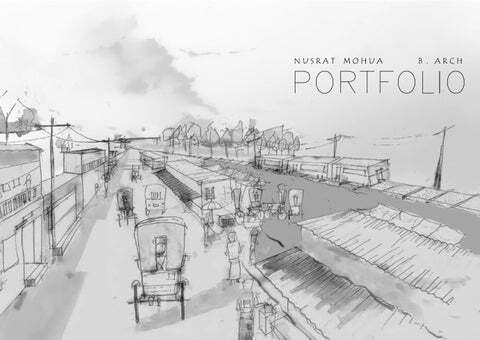 I, Nusrat Mohua, love to make architectural sketches and am enthusiastic to learn more about architecture and urban planning. When designing, I consider about geographical condition, sustainability, need of people and space to space relationship with proper functional linkage. I can perceive the image of what people desire about their places. To me, simplicity is the best way to design any space. Architectural photography and some extracurricular activities (performing dance, playing outdoor games) are several options to present my other skills. Urban people of many cities have to experience streetcrimes. The issue, though social, can be solved partly by some architectural considerations. The physical environment of an urban street, in some cases, breeds the risk of occurring street-crime. In the result of my thesis, some urban factors are disclosed, that generally can improve the physical environment of the urban street against the possibility of occurring streetcrimes. Boundary green wall holding street-side spaces in hotspot 1. 1 ISSUE: Both overcrowded & lonesome environment of street and unutilized road-side spaces. OBJECTIVE: Functional distribution and utilizing the street-side components for multi-use. Connecting segregated pathways by 80’ extended portion of foot-over bridge, adding side spaces with the extended portion and redesigning roadside boundary wall. Invisibility of street side triggering sense of insecurity. CONSIDARETION : Designing tangible elements to hold spaces in wall useful for hawkers. Composing streetside function for consumer-provider relationship. Street-side multi used boundary wall in hotspot 2. They live and work in semi-outdoor & outdoor spaces attached to their home. Second floor plan First floor plan The main entrance connected by a ramp is on the first floor instead of ground floor (administrative zone). Ashrayan is a government-founded project , which provides accommodation facilities to homeless, landless, rootless people. Ashrayan project is not only serves the accommodation its also try to improve the quality of life and economic condition of those people. 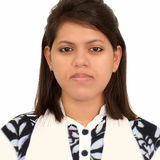 The site is surrounded by and consisted of certain elements supporting the site physicallyWAPDA road, river, forest, pond and Barsha rest house. This is 50 storied high-rise building. The main challenge was to establish connectivity among semi-outdoor spaces in podium-level and create a exposure of semi-public spaces towards the node located to the South-East. The tower-floors are for office zone. At the top, a sky deck was designed to experience the bird’s eye view of a city-portion. C O N C E P T The project was to design a duplex residence having inspiring space. Waterbody can hold a space naturally. This is why a water court surrounded by semioutdoor spaces of different levels is at the center of the residence. I tended to establish an internal natural environment of a relaxation-space where family-people can have their quality time, enjoy rain or reflection of sunlight from the water, which breeds inspiration of life. EARTHQUAKE IN BANGLADESH: As Bangladesh lies in seismically active zone, rapid prototyping emergency shelter after earthquake is a crying need. FINGDINGS: • Traumatized people avoiding heavy structure use light materials after shock. • Strong structure support is needed owing to Sliding or uplifting (seismic load). • Both horizontal and vertical elements need to be permeable for air circulation in certain level due to Strong -wind pressure. • Basic survival ingredients are needed to survive after earthquake. This is one of the post-disaster housing provisions referring to basic protection employed for short time. • Master bed attached to an opento-sky terrace. • An internal bridge between bedroom and work station. WORK STATION OUTDOOR WORK SPACE A vertical circulation at the South connecting internal area to the outdoor work-space.